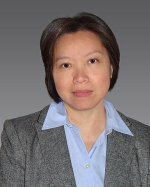 Dr. L. Ruby Leung, an internationally renowned atmospheric scientist specializing in climate modeling and the water cycle, and Laboratory Fellow at Pacific Northwest National Laboratory, has been elected to membership in the prestigious National Academy of Engineering (NAE). Leung and Dr. Johannes Lercher, a chemist and PNNL joint appointment at the Technische Universität München in Germany, are among the 106 new members elected worldwide to the 2017 class. The NAE is a private, independent, nonprofit institution that is part of The National Academies of Sciences, Engineering, and Medicine. NAE focuses on maintaining a strong engineering community and bringing together experts to provide independent advice to the federal government on engineering and technology challenges. Leung was chosen by the NAE for her "leadership in regional and global computer modeling of the Earth's climate and hydrological processes." Leung's research at PNNL helps inform national policy-makers on decisions related to water, agriculture, energy, public health, and national security. Her leadership of key workshops and panels sponsored by environmental agencies help define future priorities in climate modeling and hydroclimate research. Her work focuses on developing and advancing the use of climate models to provide insights on climate processes and their responses to human perturbations. Leung is a Fellow in the American Geophysical Union, American Meteorological Society, the American Association for the Advancement of Science, and a member of the Washington State Academy of Sciences. Her research crosses scientific disciplines to advance the state-of-the art in predicting climate change and its regional impacts. Leung has published more than 200 peer-reviewed papers. For more information and videos, see the PNNL news release, "Two PNNL researchers elected to membership in the National Academy of Engineering" and the National Academy of Engineering release "National Academy of Engineering Elects 84 Members and 22 Foreign Members"